I use thttpd to run CGI scripts. One script uses the ping command to check the availability of another host. 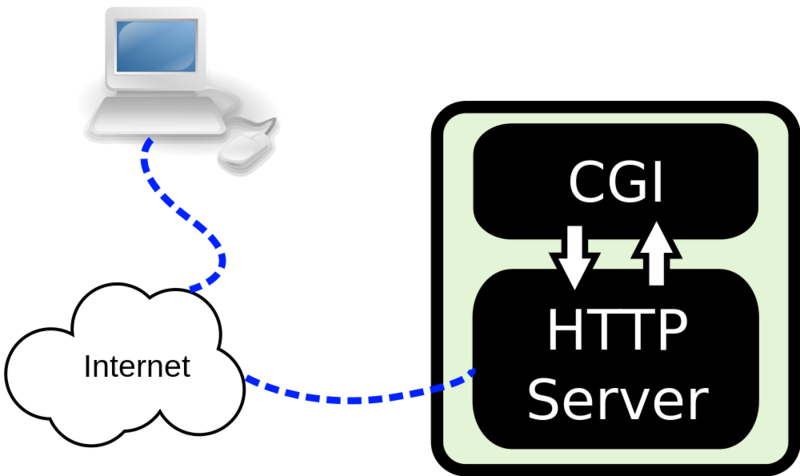 Diagram showing how CGI handles web requests. By Pluke (2012). Public Domain. Source: Wikimedia Commons. Unfortunately, SELinux does not allow raw ip packets to be created from a CGI script. Such scripts run in the httpd_sys_script_t security context. Then you will see something like ping: recvmsg: Permission denied. Basically, the ping answer (echo message) is blocked by SELinux. After creating custom modules, the audit.log file shows no denied actions, so it is not clear how to solve this. I have tried a few things that would make sense. Even after using audit2allow to create and install custom policy modules, and getting rid of all denied lines from the audit.log, SELinux still gets in the way. The ping: recvmsg: Permission denied error still shows up. So, all this just allows to use the ping command. The return packets are still blocked. As a workaround, you can use a permissive domain, so SELinux is set to the permissive mode just for the httpd_sys_script_t security context. Dan Walsh: Using audit2allow to build policy modules. Revisited.